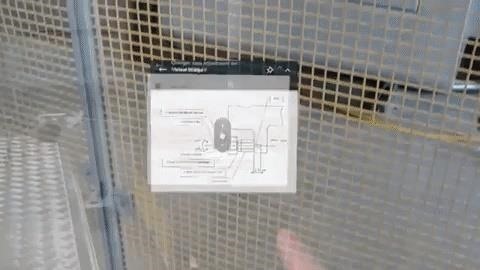 Typically used with enterprise-focused smartglasses, like the Vuzix M300 or Google Glass Enterprise Edition, Skylight assists front-line workers with complex processes by displaying workflow instructions, documentation, and tutorial videos in their field of view. Presenting this information in augmented reality allows them to keep their hands-free for the task at hand and reducing "swivel chair" between the task and a laptop. The platform includes an authoring program so that companies can easily integrate content into the application. 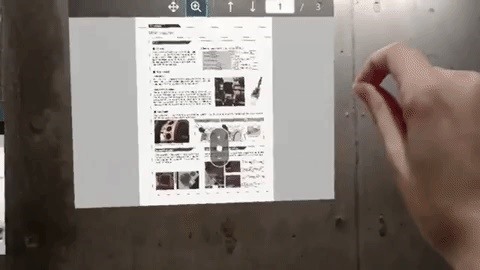 With HoloLens, the platform gains additional utility, giving users the ability to view multiple windows simultaneously within their surroundings and interact with content via hand gestures, as opposed to temple-mounted touchpads, to move and resize content. "Our customers see AR as the force multiplier that fully realizes the potential of their workforce and digital investments," said Brian Ballard, Upskill CEO and co-founder, in a statement. "Skylight for HoloLens will serve as the foundation that delivers the latest advances in visualization, cloud computing, and artificial intelligence in a mixed reality environment." Upskill's offering complements Microsoft's two recently-introduced productivity apps for HoloLens. Now available in Microsoft's Dynamics 365 software service, Remote Assist for real-time guidance with experts via video calling and Layout for visualizing engineering and product designs in 3D. "As adoption of Microsoft HoloLens continues to rapidly increase in industrial settings, Skylight offers a software platform that is flexible and can scale to meet any number of applications well suited for mixed reality experiences. 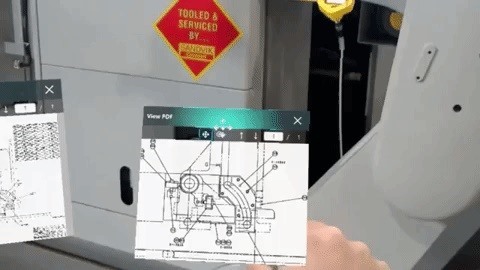 With Skylight for HoloLens, hands-on workers are provided with the ability to interact with content and information in the most natural ways possible, leading to a safer, more efficient workplace," said Terry Farrell, director of product marketing for mixed reality at Microsoft. The HoloLens version of Skylight is now available via early public access to enterprise customers in the US. Those interested in access are encouraged to contact Upskill via info@upskill.io. At present, the enterprise sector of augmented reality is considerably more mature than the consumer segment, and Upskill is among the leaders in the enterprise arena, attracting strategic investments and partnerships with the likes of Accenture as well as Boeing and GE Aviation.